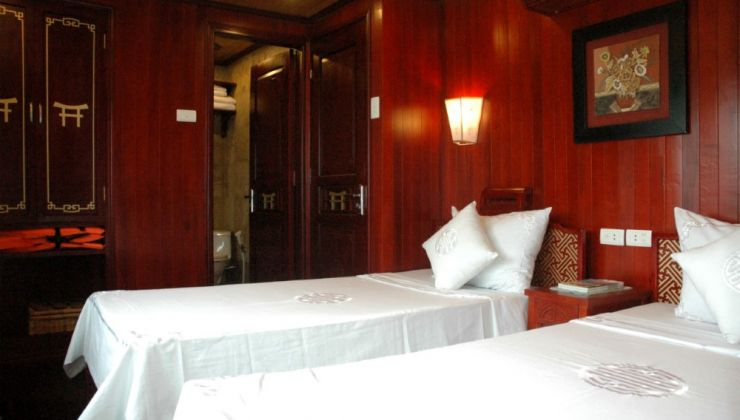 Red Dragon is complete with five deluxe cabins and 2 decks, designed to resonate with superior class and grandeur. 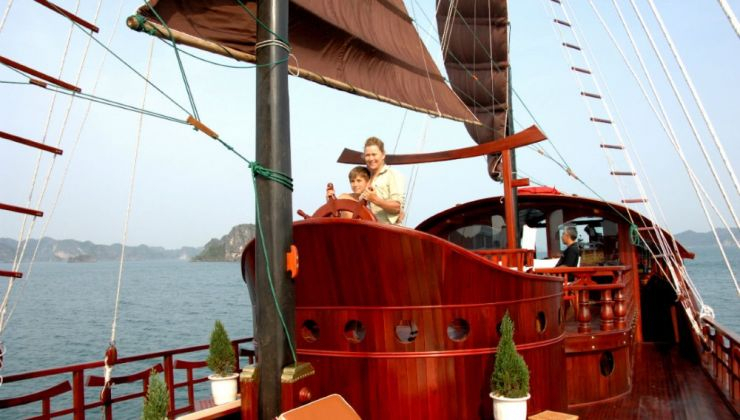 Being larger than Prince and Princess Junk, it is still small enough to get up close to the natural wonders, pocket lagoons and small fishing communities of Bai Tu Long Bay, cruising off the beaten track. 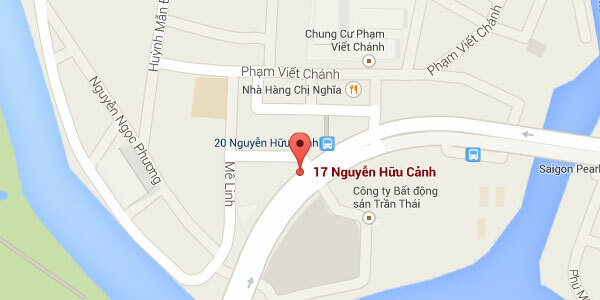 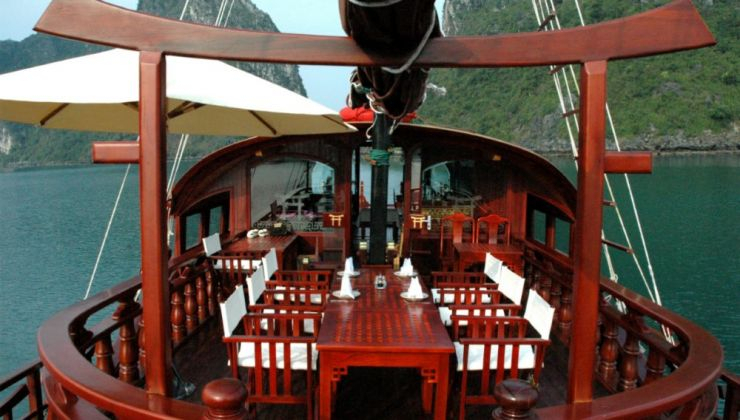 Highlights: 2 days discover Bai Tu Long, Vung Vieng Fishing Village, Thien Canh Son Cave, Hon Co Island. 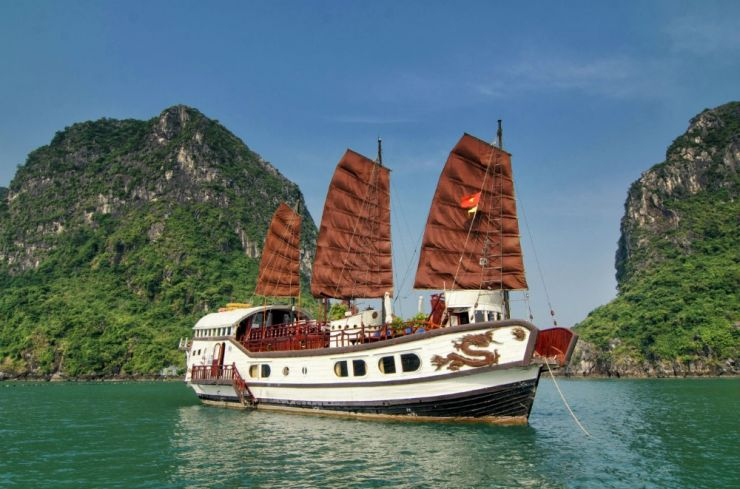 Named and designed after an authentic Asian Junk, the original Red Dragon junk plied the rivers, seas and harbors of the Far East, from Singapore to northern China. 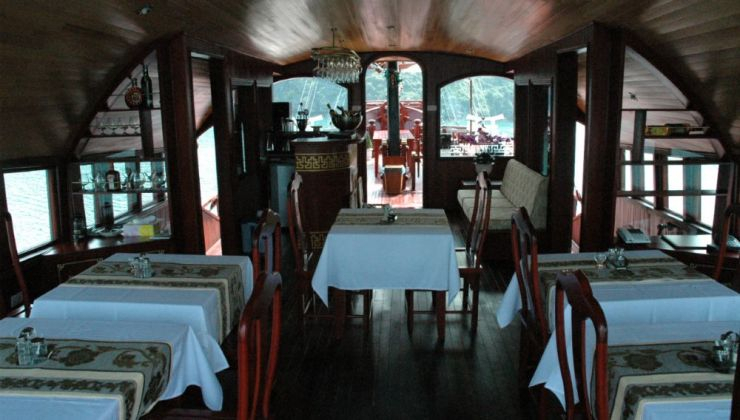 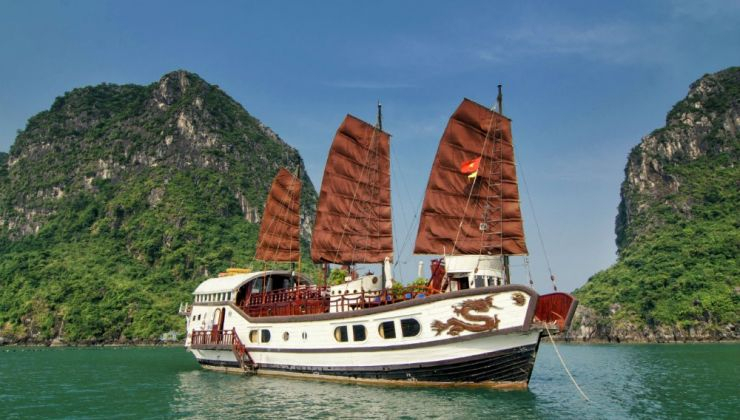 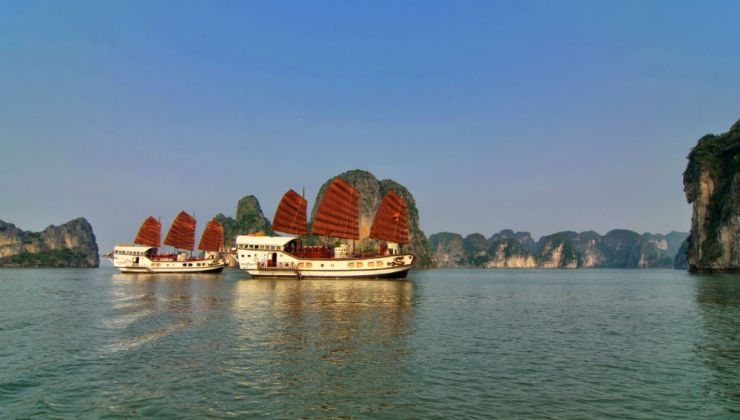 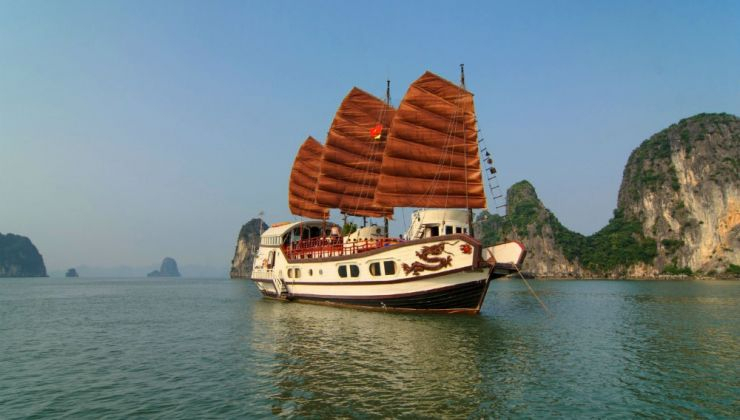 Two Red Dragon boats in our fleet are ready to cruise for your life events in Halong Bay.